The mother of one of my young students contacted me over the weekend for advice on sewing related gifts. She specifically wanted to know if a dressform (which her daughter wants) would make a good gift. I advised against that (her daughters body will change so much in the next few years that the cost outweighs the value). But that got me thinking about what would make a great gift for a sewing kid. Most of what I recommend here is available at your local Joann Fabric Store or whatever else you have in your area. I'll provide Amazon or store links for easy online viewing. These gifts are aimed at the late elementary/middle school age level, since that is who I mainly teach in my machine sewing classes for kids. And I'm not receiving any compensation for these recommendations - just my personal opinions. There are many wonderful reference and project books out there that can help your young sewist move forward with his or her sewing. 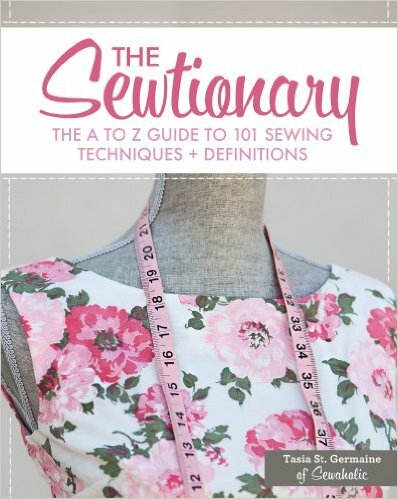 For a general reference book, take a look at Sewtionary by Tasia St Germaine or The Reader's Digest Complete Guide to Sewing. Project books often come with a set of patterns, or show you how to cut out the pieces with basic measurements. 1) One Yard Wonders - I used this book a lot when I first started sewing. It has a nice variety of projects (simple apparel, home dec, stuffed animals, handbags) that can be made with one yard or less of fabric. 2) A Kid's Guide to Sewing - Basic projects and instructions. My daughter has this book and it has some interesting projects and good instructions. 3) Sewing School 2: Lessons in Machine Sewing - I don't know this book personally but the reviews are very strong. 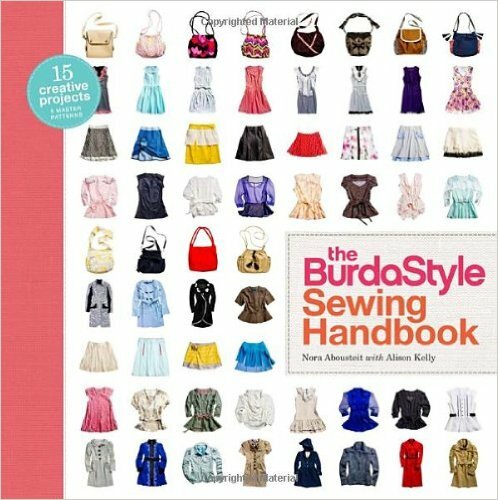 4) The BurdaStyle Sewing Handbook - This book is more advanced, but it is a great way to see how you can make small changes to a pattern for a very different look. And for those who can't make it to a sewing class and but like "live" instruction, check out the online classes at Craftsy.com. Finding good patterns that match your child's skill level and have good instructions can be a challenge. I know the pattern lookbooks can be overwhelming if you are not a sewist yourself. Here are a few places to get started. New Look has a good collection of "tween" patterns that are sized and designed for 8-12 year-olds and I've found that my students really like these patterns. 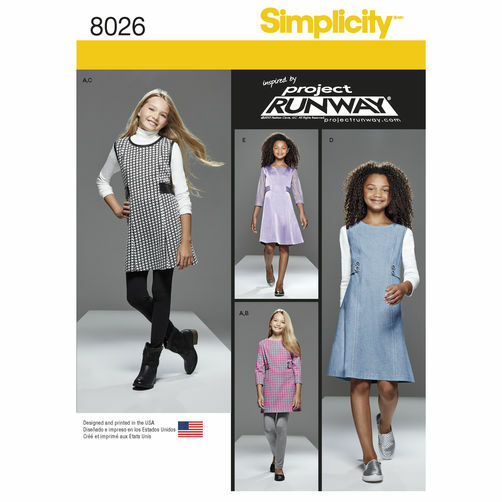 Unfortunately, you can't search on their website for this collection - you have to look for the patterns with a yellow band at the top AND with the tag "tweens" under the yellow band. For newer sewists, look for patterns marked "easy." The designs in this collection appeal to younger sewists, and many of them are easier to sew. Look for patterns marked for "girls" if your daughter is not yet wearing misses sizes. In general, you want patterns with a small number of pattern pieces as they will be easier to sew. This can be hard to identify if you don't sew, but if you look at the line drawings on the back of the pattern envelope, you can get a good idea of how many pieces a pattern will involve. Scissors - Good scissors are essential. New sewists have to build up their hand eye coordination when it comes to cutting, and poor scissors make this process even harder. It's easier to put together a project when you have nice straight edges, and choppy cutting make it harder to sew. I sew with 9" Kai professional shears and Ginghers are also a great brand. I've been sewing for 3 years with my pair without needing to get them sharpened, and the cheaper pair I had before that needed sharpening twice a year. Younger sewists will probably want 8" shears. Ruler - In addition to a measuring tape, a transparent ruler is also helpful for measuring and cutting. My favorite is the 6" wide quilting ruler. Marking tools - This is important for marking and labeling pattern pieces. I use clay Tailor's chalk and these Clover Chaco Liners (they come in yellow, pink, white, and blue). Thread - It is helpful to have a wide range of thread colors available. I know I would love it if someone bought me this set or this set! If you are looking to give your young sewist her first machine, I have a couple of recommendations. Both of these machines are good starter machines that will last for years. Please stay away from machines at the big box stores - the lower prices sacrifice quality by replacing metal parts with plastic. If you have any questions or if you have recommendations for this list, please comment below! Happy Sewing and Merry Holidays! 2 comments on "Gifts for Young Sewists"
Great list! Fingers crossed that kids everywhere will begin asking for sewing items for Christmas.